Corrupt files can cause the database equivalent of a freeway pileup, leading to lost data and expensive, time-consuming recovery and rebuilding efforts. DataNumen's Advanced DBF Repair (ADR) can repair corrupt database (DBF) files in any version of dBASE, "xBASE," and compatible programs like Visual FoxPro. It can automatically split DBF files and tables when they reach predetermined limits, perform batch fixes, and fix DBF files stored on corrupted media, among other capabilities. ADR opens as a tiny dialog packing all the essentials into a compact, efficient, tabbed layout with entry fields, selection boxes, and clearly labeled buttons for functions such adding or removing files and initiating repairs. A handy search feature lets you specify database and version, but we chose the Auto Detect setting to capture all compatible files, which turned out to be more than expected. The pop-up search dialog lets you narrow the search by date and time as well as file size and attributes. We selected a file to repair, a process that took less than a second. If anything, the Batch Repair feature was easier to use, though nothing about ADR seemed difficult. A prominent button opens the fully indexed and searchable Help file where needed, and there's online assistance and documentation available via included links. Split a CSV file into smaller files. Analyze and manage XML Schema, XML instances, XSLT files, and WSDL file relationships. 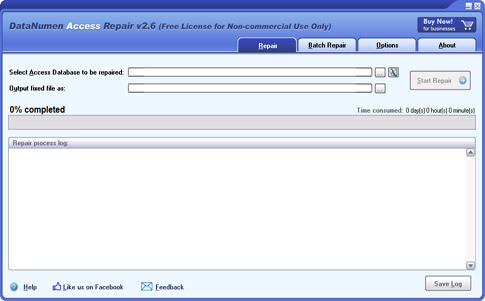 Access dbf files directly without programming via the familiar Windows interface. 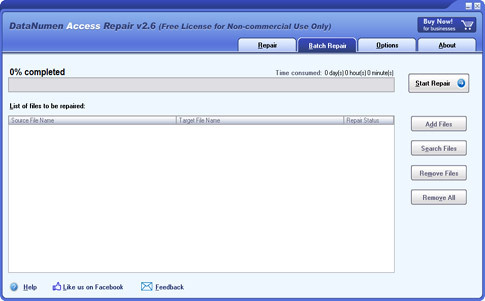 Repair DBF files, recover their structure and records. Repair and recover corrupt SQL Server MDF database files. 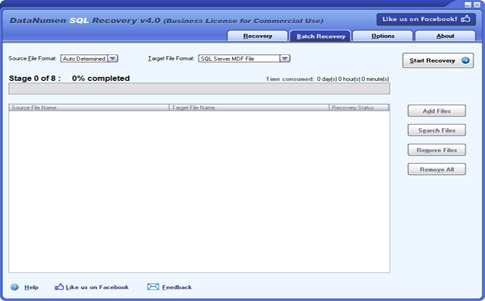 Recover and repair DBF databses and Microsoft Access MDB and ACCDB databases.